MIM-104 Patriot, MIM-23 Hawk, Northrop F-5, F-CK-1, Lockheed F-104, Knox class frigate, Oliver Hazard Perry class frigate, etc. USS Independence (CV-62), USS Nimitz (CVN-68), USS Belleau Wood (LHA-3), USS Bunker Hill (CG-52), etc. DF-15, J-7, J-8, etc. (246 days). The first set of missiles fired in mid-to-late 1995 were allegedly intended to send a strong signal to the Republic of China (ROC, commonly known as "Taiwan") government under Lee Teng-hui, who had been seen as moving ROC foreign policy away from the One-China policy. 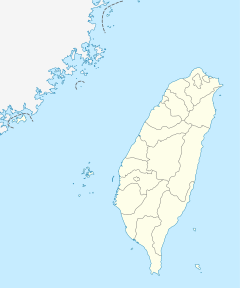 The second set of missiles were fired in early 1996, allegedly intending to intimidate the Taiwanese electorate in the run-up to the 1996 presidential election. The crisis began when President Lee Teng-hui accepted an invitation from his alma mater, Cornell University to deliver a speech on "Taiwan's Democratization Experience". Seeking to diplomatically isolate the Republic of China, the PRC opposed such visits by ROC (Taiwanese) leaders. It argued that Lee harbored pro-Taiwanese independence sentiments and was therefore a threat to stability in the region. A year earlier, in 1994, when President Lee's plane had stopped in Honolulu to refuel after a trip to South America, the U.S. government under President Bill Clinton refused Lee's request for a visa. Lee had been confined to the military airfield where he landed, forcing him to spend a night on his plane. A U.S. State Department official called the situation "embarrassing" and Lee complained that he was being treated as a second-class leader. After Lee had decided to visit Cornell, U.S. Secretary of State Warren Christopher assured PRC Foreign Minister Qian Qichen that a visa for Lee would be "inconsistent with [the U.S.'s] unofficial relationship [with Taiwan]." However, the humiliation from Lee's last visit caught the attention of many pro-Taiwan figures in the U.S. and this time, the United States Congress acted on Lee's behalf. In May 1995, a concurrent resolution asking the State Department to allow Lee to visit the U.S. passed the House 396 to 0 with 38 not voting, and the Senate 97 to 1 with 2 not voting. The State Department relented on 22 May 1995, and the PRC condemned the U.S. for "ruining" Sino-American relations. Lee spent June 9–10, 1995, in the U.S. at a Cornell Alumni reunion as the PRC state press branded him a "traitor" attempting to "split China". The PRC government was furious over the U.S.'s policy reversal. On 7 July 1995, the Xinhua News Agency announced missile tests would be conducted by the People's Liberation Army (PLA) and argued that this would endanger the peace and safety of the region. The PRC conducted tests from July 21 to 26 in an area only 60 kilometers (37 mi) north of ROC-held Pengjia Islet. At the same time, the PRC mobilized forces in Fujian. In the later part of July and early August numerous commentaries were published by Xinhua and the People's Daily condemning Lee and his cross-strait policies. Another set of missile firings, accompanied by live ammunition exercises, occurred from August 15 to 25, 1995. Naval exercises in August were followed by highly publicized amphibious assault exercises in November. The U.S. government responded by staging the biggest display of American military might in Asia since the Vietnam War. President Clinton ordered additional ships into the region in March 1996. Two aircraft carrier battle groups, Carrier Group five centered on USS Nimitz, and Carrier Group Seven centered on USS Independence, were present in the region as well as the amphibious assault ship USS Belleau Wood. The Nimitz and her battle group and the Belleau Wood sailed through the Taiwan Strait, while the Independence did not. The crisis forced the Chinese leadership in 1996 to acknowledge its inability to stop U.S. forces from coming to Taiwan's assistance. Beijing intended to send a message to the Taiwanese electorate that voting for Lee Teng-hui in the 1996 presidential election on March 23rd meant war. A third set of PLA tests from March 8 to March 15 (just before the election), sent missiles within 46 to 65 km (25 to 35 nmi) (just inside the ROC's territorial waters) off the ports of Keelung and Kaohsiung. Over 70 percent of commercial shipping passed through the targeted ports, which were disrupted by the proximity of the tests. Flights to Japan and trans-Pacific flights were prolonged by ten minutes because airplanes needed to detour away from the flight path. Ships traveling between Kaohsiung and Hong Kong had to take a two-hour detour. On 8 March 1996, also a presidential election year in the U.S., the U.S. government under President Clinton announced that it was deploying the USS Independence carrier battle group (CVBG), already stationed in the western Pacific, to international waters near Taiwan. On the following day, the PRC announced live-fire exercises to be conducted near Penghu from March 12–20. On March 11, the U.S. dispatched Carrier Group Seven, centered on USS Nimitz, which steamed at high speed from the Persian Gulf. Tensions rose further on March 15 when Beijing announced a simulated amphibious assault planned for March 18–25. Aware of U.S. Navy carrier battle groups' credible threat to the PLA Navy, the PRC decided to accelerate its military buildup. Soon the People's Republic ordered Sovremenny-class destroyers from Russia, a Cold-War era class designed to counter U.S. Navy carrier battle groups, allegedly in mid-December 1996 during the visit to Moscow by Chinese Premier Li Peng. 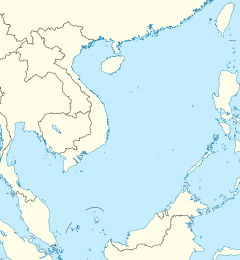 The PRC subsequently ordered modern attack submarines (Kilo-class) and warplanes (76 Su-30MKK and 24 Su-30MK2) to counter the U.S. Navy's carrier groups. During the military exercises in March, there were preoccupations in Taiwan that the PRC would occupy some small islands controlled by Taiwan, causing panic among many citizens. Therefore, many flights from Taiwan to the United States and Canada were full. The then secretary general of the National Security Council of Taiwan, Ding Mou-shih, flew to New York to meet Samuel Berger, Deputy National Security Advisor of the United States. The four vertices (red) (23°13′N 122°20′E, 25°13′N 122°40′E, 24°57′N 122°40′E, 24°57′N 122°20′E) of the announced quadrilateral area reserved for the military exercise off Keelung (orange) between Mar. 8 and Mar. 15, 1996. The four vertices (red) (22°38′N 119°25′E, 22°38′N 119°45′E, 22°22′N 119°45′E, 22°22′N 119°25′E) of the announced quadrilateral area reserved for the military exercise off Kaohsiung (orange) between Mar. 8 and Mar. 15, 1996. The four vertices (red) (23°57′N 118°06′E, 23°25′N 118°50′E, 22°30′N 117°30′E, 23°01′N 116°46′E) of the announced quadrilateral area reserved for the military exercise between Mar. 12 and Mar. 20, 1996. The four vertices (red) (25°50′N 119°50′E, 25°50′N 119°50′E, 24°54′N 119°56′E, 25°12′N 119°26′E) of the announced quadrilateral area reserved for the military exercise between Mar. 18 and Mar. 25, 1996. ^ H.Con.Res. 53. Senator Bennett Johnston, Jr. (D-LA) was the lone "nay" voter. ^ "Taiwan's President Speaks at Cornell Reunion Weekend". Cornell University. Archived from the original on 2012-07-10. Retrieved 20 July 2010. ^ "Taiwan Strait: 21 July 1995 to 23 March 1996". GlobalSecurity.org. Retrieved 20 July 2010. ^ "BBC NEWS". Retrieved 17 December 2014. ^ Risen, James (11 March 1996). "U.S. Warns China on Taiwan, Sends Warships to Area". Los Angeles Times. Retrieved 28 March 2015. ^ Lin, Jennifer (21 March 1996). "U.S. Considers Risking China's Wrath On Taiwan The Nimitz Could Sail Through The Taiwan Strait. China Is Calling That "brazen."". Philadelphia Daily News. Philippine Daily Inquirer. Retrieved 28 March 2015. Chi Su (2008). Taiwan's Relations with Mainland China: A Tail Wagging Two Dogs. Routledge. p. 14. ISBN 978-1-134-04043-8. ^ Elleman, Bruce (2014). Taiwan Straits: Crisis in Asia and the Role of the U.S. Navy. Rowman & Littlefield. p. 130. ISBN 978-0-8108-8890-6. Copper, John (1998). Taiwan's Mid-1990s Elections: Taking the Final Steps to Democracy. Greenwood. p. 116. ISBN 978-0-275-96207-4. 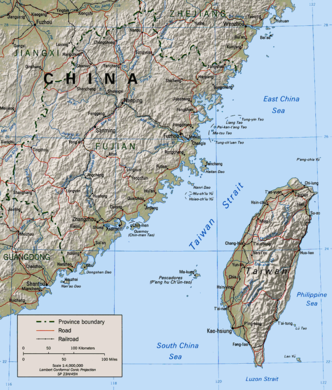 ^ "Could China seize and occupy Taiwan militarily?". CSIS China Power. ^ Xiaobing Li (January 2012). China at War: An Encyclopedia. ABC-CLIO. p. 445. ISBN 978-1-59884-415-3. Retrieved 28 March 2015. "U.S. Navy ships to sail near Taiwan". CNN. United States. 10 March 1996. Retrieved 28 March 2015. ^ "台"国防部"公布1996年台海危机解密文件_资讯_凤凰网". news.ifeng.com (in Chinese). Retrieved 2018-12-03. ^ "ձ". Retrieved 17 December 2014. Bush, R. & O'Hanlon, M. (2007). A War Like No Other: The Truth About China's Challenge to America. Wiley. ISBN 0-471-98677-1. American Enterprise Institute for Public Policy Research (Corporate Author), James R. Lilley (Editor), Chuck Downs (Editor). (1997). Crisis in the Taiwan Strait. National Defense University (NDU). ISBN 978-1-57906-000-8. Ross, Robert S., "The 1995–1996 Taiwan Strait Confrontation: Coercion, Credibility, and Use of Force", International Security, 25:2, pp. 87–123, Fall 2000, Retrieved: 14 April 2006 (PDF file)—This article traces in detail the course of the crisis and analyzes the state of Sino-American relations both before and after the crisis. Thies, Wallace, and Patrick Bratton, "When Governments Collide in the Taiwan Strait", Journal of Strategic Studies, 27, no. 4 (December 2004), 556–84. Tucker, N.B. (2005). Dangerous Strait: the U.S.-Taiwan-China Crisis. Columbia University Press. ISBN 0-231-13564-5. Moore, Gregory J. (2007). "The Roles of Misperceptions and Perceptual Gaps in the Taiwan Strait Crisis of 1995–1996". In Hua, Shiping; Guo, Sujian. China in the Twenty-First Century: Challenges and Opportunities. New York: Palgrave Macmillan. pp. 171–194. ISBN 1-4039-7975-8.